Last September, Adidas Originals and Childish Gambino, real name Donlad Glover, shared a short animated video titled, "Feels Like Summer," which led to the following announcement from Adidas: "A collaboration without boundaries, welcome to the family Donald Glover." Since then, Childish Gambino's Adidas collab has been kept under wraps. That is, until today. 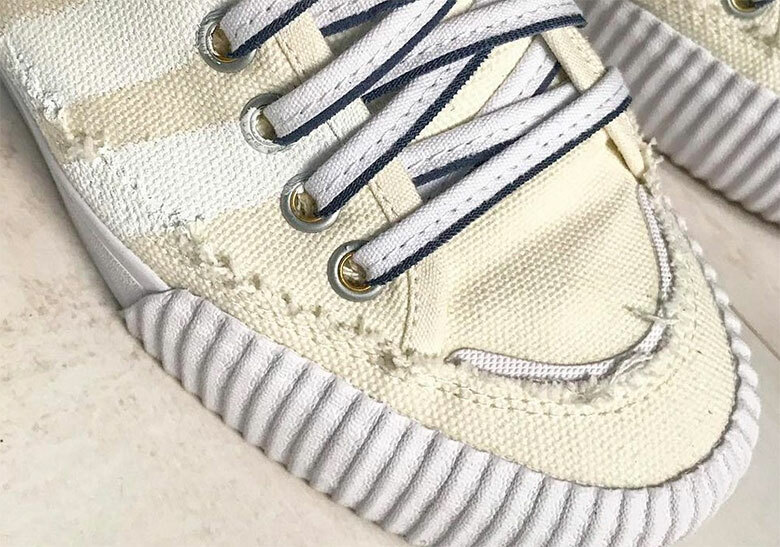 The collab takes shape in the form of an Adidas Nizza. 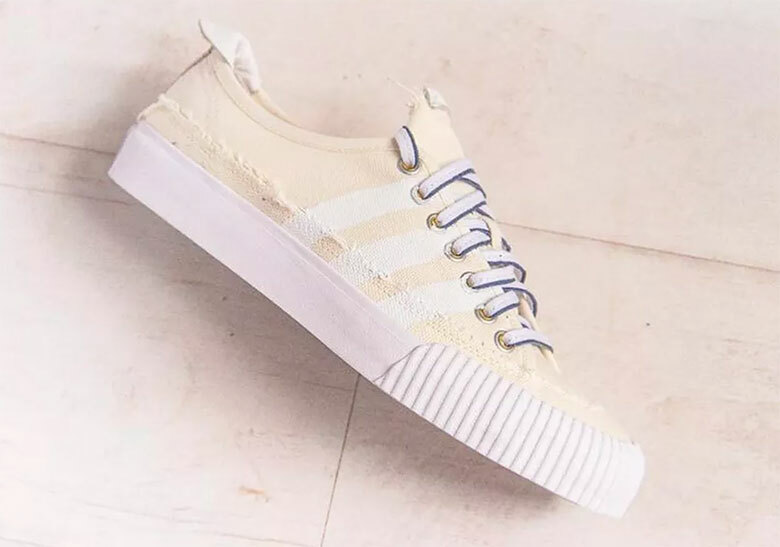 The low-top sneakers feature a weathered look, equipped with a faded, pale yellow upper with frayed detailing and a chunky white midsole. 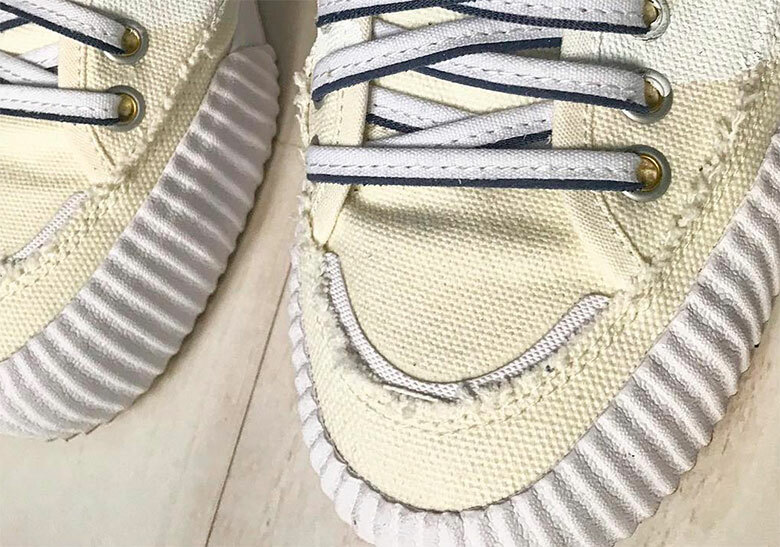 The kicks are also highlighted by the prominent white and navy blue laces that stand out against the dull canvas construction. 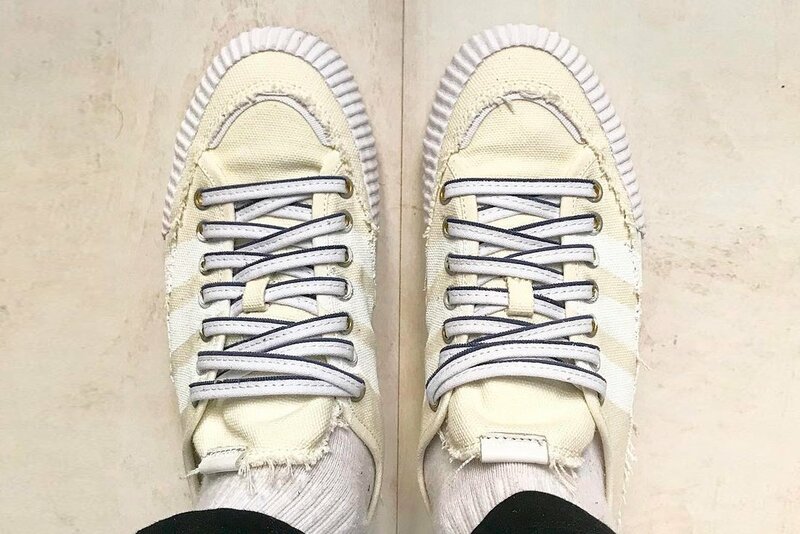 Release details for the Childish Gambino x Adidas Nizza have not yet been announced, but rumors suggest the kicks will be arriving in the very near future. Take a look at the first images below, and stay tuned for official release info.